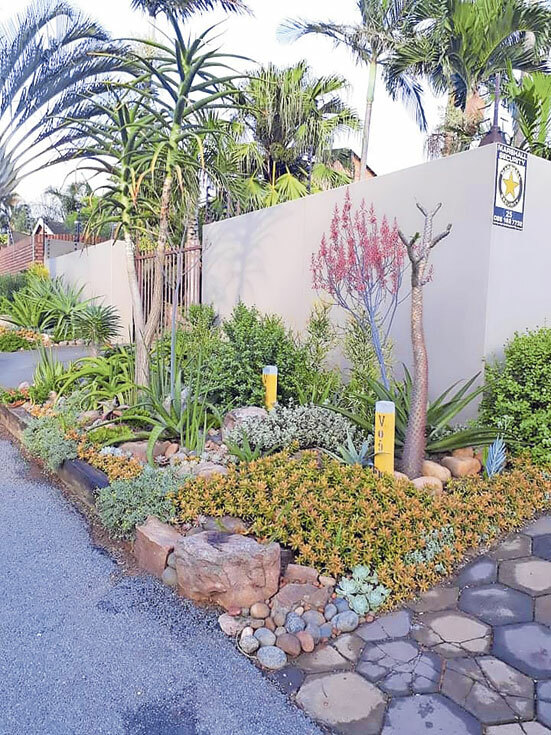 In an aim to encourage residents of eThekwini Municipality to beautify and maintain their verges at all times, the municipality awarded residential, commercial, school and food gardening verges who stood out in the year of 2018.The awards ceremony was held at the Durban Botanical Gardens Visitors Centre on Thursday, 28 February. Announced as the overall winner in the residential category was home owner of house number 25 on Prestondale in La Lucia, Peter Tavener. Tavener and his family were awarded for having the best verge in the city. Tavener’s verge received a score of 92.5% from the judges making him the first prize winner of the 2018 Verge Competition in the residential category. 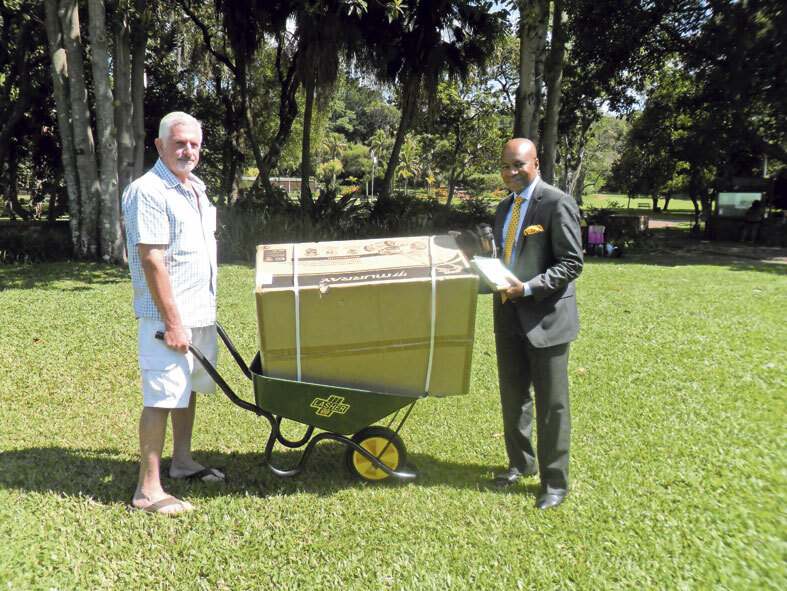 He walked away with a 1000 litre Jojo tank for water conservation, tools, wheelbarrow and a lawnmower sponsored by C&R Industries. Even though the Commercial category made up a small percent of the nominations for the competition, Renwood Carries received a score of 64.88% from the judges making them the first prize winners in this category for their beautiful verge on Marshal Drive, Old Mill Industrial Park in Mount Edgecombe. The Schools category was won by Bantuvukani Primary School for their beautiful verge on Ntuli Street in Lamontville Township. The school received a 10 000 litre Jojo tank, toolkit, wheelbarrow, hosepipe, rake and hand tools. The Food Garden category went to Wiseman Mzila of uMhlasiwe in Verulam and who also walked away with a 10 000 litre Jojo tank, wheelbarrow, hosepipe, a rake and hand tools. Winner, Tavener said, he was very excited and he dedicates the award to his son and wife. “When my son and I did this garden we created a whole ecosystem. We are now having a lot of butterflies, birds and lizards that live in the plants that we have planted and the good thing is that we never have to water our garden because it looks after itself,” he said. In congratulating the winners, head of Parks Recreation and Culture Unit manager, Thembinkosi Ngcobo said that the city of Durban is known to be a city that is very colourful and because of its beautiful weather it has a lavish green environment but over the years, it has lost that status. “This status was lost because the city lacked the involvement of the residents in the promotion of a clean and green environment. With the Verge Competition, the municipality aims to restore that civic pride and to protect the environmental status of the city. We also want to encourage the citizens to ensure that the physical infrastructure (Parks and outdoor gyms) in their neighbourhood is protected,” he said. Ngcobo added that the total asset value of the municipality’s physical infrastructure amounts to R5 billion but every year, the municipality loses R80 million through vandalism. This then forces the municipality to spend money on renovating facilities that have already been provided for and that puts a barrier on new development. “With the competition, we therefore saying to the citizens start with your verge and then identify a spot or facility whom which you and your neighbours can be responsible for,” Ngcobo explained.